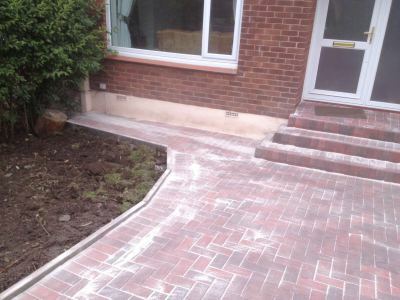 The front and side area of the house was monoblocked to create a beautiful driveway and patio area. 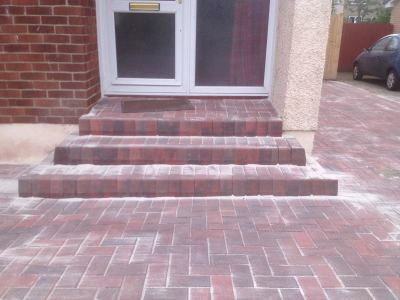 New steps can be built to match the paving. 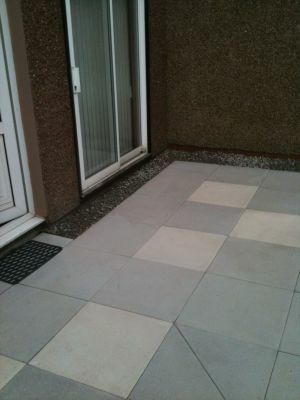 This shows a monoblock step to the front entrance and finishes the look fantastically. 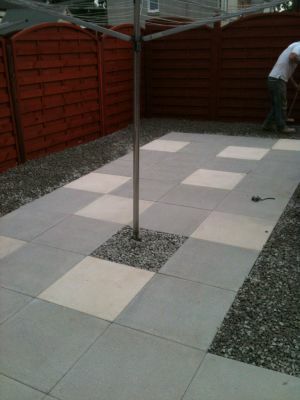 Concrete slab patio with accents to give a more pleasant look. 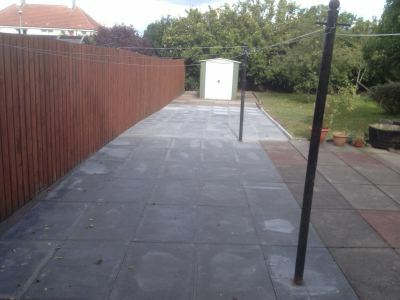 The edges have been finished with ornamental chips. 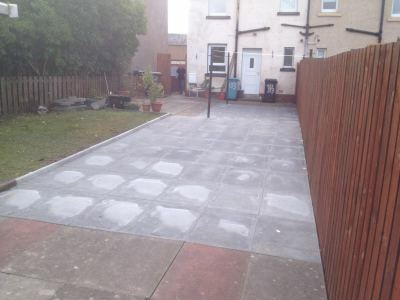 Concrete slab patio created, recycling old slabs to the bottom and tying them all in nicely.